HÀ NỘI — Việt Nam’s national football team came from behind to defeat South Korea’s Seoul FC 2-1 during their second friendly match held in South Korea yesterday. Following a 2-1 defeat to Incheon United on Monday, Vietnamese head coach Park Hang-seo used two different line-ups in each half to test his team. In the first half, Việt Nam used a 3-5-2 formation featuring goalie Bùi Tiến Dũng, defenders Đỗ Duy Mạnh, Trần Đình Trọng and Bùi Tiến Dũng; midfielders Nguyễn Phong Hồng Duy, Lương Xuân Trường, Trần Minh Vương, Đỗ Hùng Dũng and Phạm Văn Thành and strikers Hà Đức Chinh and Nguyễn Văn Toàn. However, the South Korean coach replaced all 11 players in the second half. Việt Nam controlled the ball from the opening whistle and created several chances to score but Vương and Toàn failed to net. The K League’s Seoul FC fought back and midfielder Lee Woong Hee opened the scoring for the hosts in the 43rd minute. After the break, Việt Nam continued to pressure the hosts and in the dieing minutes, midfielder Đinh Thanh Trung and striker Nguyễn Công Phượng (scored to help Việt Nam win 2-1. Coach Park said after the match he was very satisfied with his players, especially their spirit. “In this match, I continued using tests for my players. They played better compared to the game with Incheon United. I am very satisfied with their competitive spirit. Although it was a friendly match, they played with all their hearts. I am very glad with this result,” said Park. The match was part of Việt Nam’s preparations for the upcoming ASEAN Football Federation (AFF) Suzuki Cup 2018. 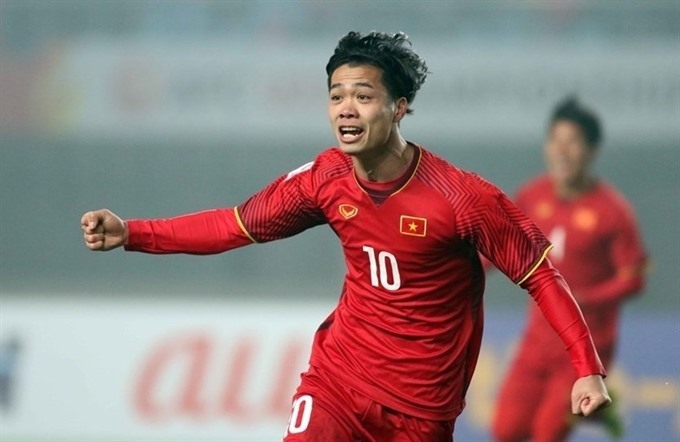 The Vietnamese squad will next play against Seoul E Land on October 29. They will then return home the following day before the final squad for the AFF Suzuki Cup 2018 is announced. Việt Nam are in Group A together with Malaysia, Myanmar, Cambodia and Laos at the AFF event that will take place from November 8 to December 15 with 26 matches between 10 teams.